← Happy 1st Birthday Present: Arana Gulch Scavenger Hunt! It’s 2030, the 110th year anniversary of the NFL & the year of Super Bowl LXIV. Unbelievably, Super Bowl 64 was the last Super Bowl. It wasn’t even televised. Looking back, 2015 stood out as a turning point in the decline of the church of football. Similar to the demise of some other religions, it was hard to see how it could’ve happened if one gloried in the weekly hallelujas – & a lot of us did back then. 2015 was the year, though, that people started noticing the increasingly steady stream of scientific information about brain damage seeping under the wall of NFL denial. You could hardly blame the NFL. Together with credit default swaps, televised football & its annual Super Bowl extravaganza were the easiest money of the new century: no way were the team owners & investors ever going to acknowledge that the sport itself was the problem. &, watching foodball on TV was the church of America – it was a way to join in with friends & strangers, cheer & moan, pray & curse, drink & overeat – all together as one great people. Except, as it turns out, playing football wasn’t so great for the players. In 2015, some of these modern-day gladiators, & their families, woke up to the understanding that the money they were making wasn’t worth the risk of permanently losing their minds. Younger, newer players stopped playing; retired players renewed their lawsuits. Ten years after the first research about chronic traumatic encephalopathy was made public in 2005, NFL’s multi-billion-dollar facade was starting to crack. Mothers & fathers started directing their children toward other, less risky team sports. Youth football leagues were the first to fold, driven by a shortage of players – by 2018 they were history. That same year, educators started getting out of the game: struggling public high schools could no longer afford high-cost, liability-laden football programs, & private schools had already nixed the sport in favor of soccer. Even Black Lives Matter activists start protesting at NFL venues (because by then, black football players represented over 80% of all professional players, up from 70% in 2014). Colleges & universities saw the writing on the wall early in the new decade & started closing down their own costly football programs. Alumni donors, only slightly missing being reminded of their own aging at the annual bowl game, shifted their gifts toward ever-more-necessary research into new kinds of renewable energy. Football’s fate seemed finally to be sealed when the 7-year National Institutes of Health study, initiated in 2016, achieved its goal early, in 2019, of finding a way to diagnose CTE in people who are still alive. 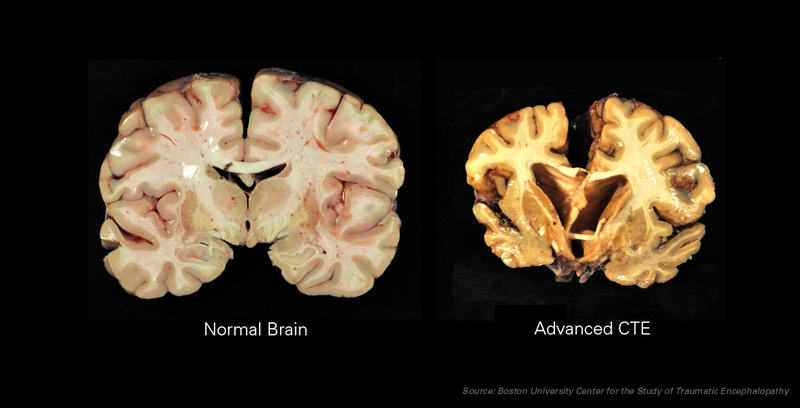 Sadly, the subsequent required brain screenings this research made possible left no question of the risk: CTE in various stages of severity showed up in over 85% of all football players, within the NFL & without, from kids to retirees. Major advertisers dropped football within a year. It was no longer de riguer to been seen at Super Bowl parties or yelling out halftime songs in front of dwindling crowds. 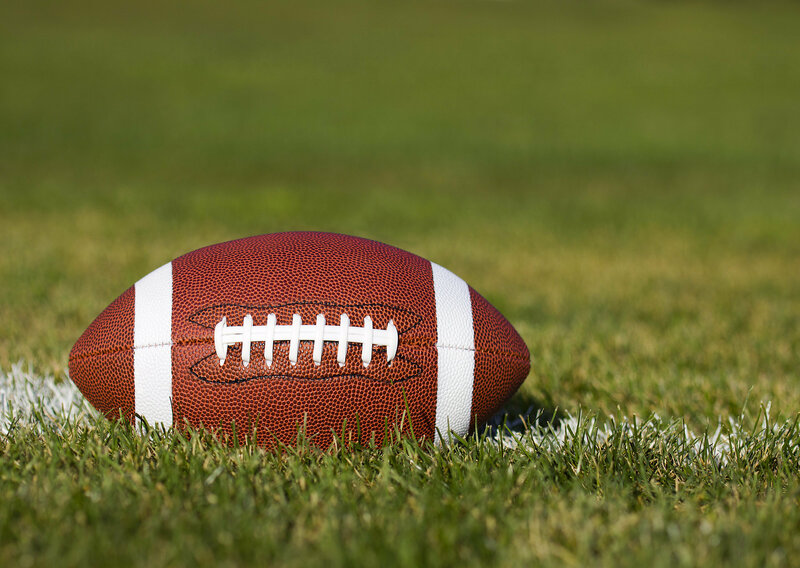 Football was going the way of boxing, & the severe, 5-year drought in Las Vegas made the prospect of paying $50,000 for an outdoor seat unappealing even to the .1%. It took another 5 or so years for the once-invincible NFL to face its endgame. Increasingly erratic climate & weather-related disasters made energy & water supply projects more lucrative for former investors. Imaginative advertisers found new venues for hawking their (ok mostly useless) products. New religions briefly burst forth & burnt out. Regular power & cellular outages got people talking to each other again. Impossibly, the Era of American Football was over. …then again, 110 years is just a bit longer than the lifespan of human primates. A pretty short-lived era, after all. This entry was posted in Our Primate Nature and tagged Ann McKee, Bennet Omalu, black lives matter, chronic traumatic encephalopathy, CTE, football, NFL, Super Bowl. Bookmark the permalink.